Timothy Wayne Adams was executed by the state of Texas on February 22, 2011. Timothy was pronounced dead at 6:31 CST, inside the Walls Unit execution chamber at the Huntsville State Penitentiary in Huntsville, Texas. Timothy was 42 years of age. Timothy was executed for the murder of his 19-month-old son Timothy Wayne Adams, Jr., on February 20, 2002, after a standoff with police in his Houston, Texas home. He also shot his wife, Emma Adams, who was in the process of moving out of the home they shared. Timothy spent the last eight years of his life on Texas’ death row. Timothy graduated from high school and worked as security guard supervisor prior to his arrest. He had no prior prison record. 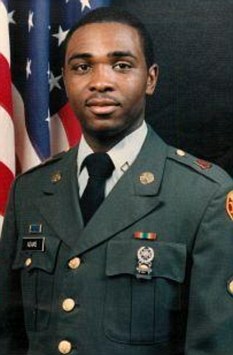 Timothy enlisted in the Army after high school and was honorable discharged in 1989. While in the military, Timothy was well-liked and reliable. Please pray for peace and healing for the family of Timothy Jr., and Emma Adams. Please pray for the family of Timothy Adams. Timothy was known to have worked on deepening and strengthening his relationship with Jesus Christ during his time in prison.